In the past couple of months, we have witnessed several catastrophic hurricanes that have decimated entire communities, causing immense property damage and even death. Now that the storms have passed, the ravaged communities in Texas, Florida, Puerto Rico, and other areas of the Caribbean are working to recover and get their lives back to normal. The damage in the affected areas is extensive as the cost of the damages from just Hurricane Harvey and Hurricane Irma is estimated to be between $150 and $200 billion. Fortunately, we have witnessed herculean efforts from all walks of life including first responders, volunteers, disaster restoration professionals, healthcare professionals, community members, and many more who have come to the aid of the affected communities. ServiceMaster 24 Hour of Tampa, FL has been working nonstop to help these storm ravaged communities work their way back to normalcy. While they are based in the Tampa, FL area, ServiceMaster 24 Hour is a national disaster restoration company that is ready to mobilize their restoration specialists and respond to large scale disasters across the U.S. They are currently providing water and storm damage recovery in the Houston area, as well as the areas affected by Hurricane Irma in their own backyard in Florida. Hurricane Harvey made landfall in Houston, TX as a category 4 hurricane on August 25, 2017. 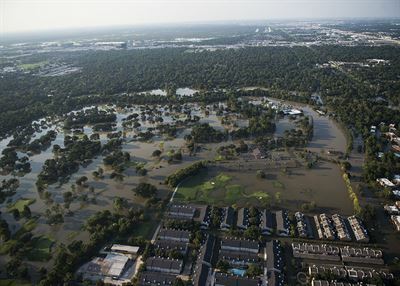 Some communities in the Houston, TX area received as much as 40 inches of rain which caused significant flooding, damaging an untold number of homes and businesses. Approximately 300,000 people lost power as a result of the storm and about 30,000 people were displaced from their homes. It has been more than a month since Hurricane Harvey made landfall and there is still a lot of work to do to get the Houston area back to normal. ServiceMaster 24 Hour dispatched a crew of technicians shortly after the storm receded to help provide storm damage and flood damage cleanup for the homes and businesses affected. Their technicians are still present in the Houston area, working around the clock to remove flood water from homes and buildings and rebuild property that has sustained damage. Hurricane Irma as it approaches Florida. Hurricane Irma first made landfall in Florida as a category 4 hurricane on September 10, and quickly downgraded to a category 3 storm. 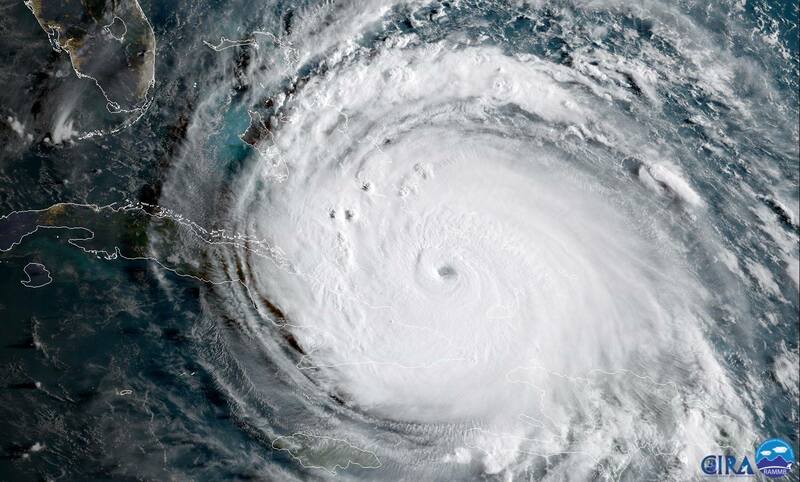 The worst effects of the hurricane were in southern Florida as the Florida Keys communities and areas around Miami experienced significant property damage, flooding, and loss of power. Just over 1.5 million customers throughout the state of Florida were without power immediately after the storm. One of the worst effects of Hurricane Irma was the public health risks that resulted from flooding rivers. Much of the flood water from the rivers was contaminated by waste and mosquito-borne illnesses and many people became sick from exposure. The effects of Hurricane Irma hit close to home for the Florida-based ServiceMaster 24 Hour. Their professionals have been doing all they can to help those affected in their local communities get their lives back to normal with extensive flood and storm damage restoration. ServiceMaster 24 Hour has always been a major presence in their community and they have risen to the occasion right when their communities needed them the most. The hurricane relief effort is not finished yet as the affected areas are still recovering from the damage caused by these storms. ServiceMaster 24 Hour is just one of many restoration professionals who have responded to these large-scale disasters to help people reclaim their damaged homes and businesses. If you want to contribute to the relief effort, you can donate money to one of these organizations or volunteer your time to help through National Voluntary Organizations Active in Disaster (NVOAD). Coming together as a community to help gives the best chance for recovery in storm ravaged areas.